Nokia's Health division is rumored to be up for sale right now with Nest reportedly eyeing up the company for purchase, but now it looks like Samsung may be readying a bid too. According to news website Les Echos (who cites sources familiar with the matter) two French companies were in the running to purchase Nokia Health as well as one non-European company. Although that looks to be an outright denial from Samsung, it would be interesting to see what the company could do with Nokia's health focused tech. Nokia Health bought Withings back in 2016 and has gently rereleased a lot of the original brand's existing products with slight tweaks and the Nokia brand name. Nokia Health also has a variety of smart weighing scales, blood pressure monitors and sleep trackers that would expand Samsung's portfolio of smart home tech too. Although we don't currently know who will be buying Nokia Health, these consistent rumors suggest the company is set to sell the division within the coming months. 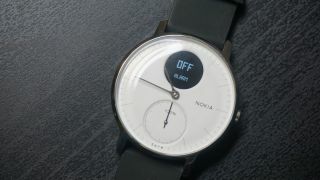 Nokia isn't letting any information go, telling Wareable it's still performing a strategic review, at the moment. That same website is also reporting that we'll hear about a winning bidder for Nokia Health within the month though, so it probably won't be long until we hear if the Nokia name and tech will be moving to another brand.